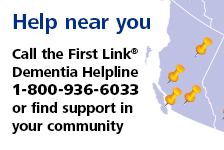 Advocacy: navigating the system | Alzheimer Society of B.C. Understanding how the health-care system works and navigating your way through it while caring for someone with dementia can often feel overwhelming. This tele-workshop for family caregivers will help you make sense of the formal health-care system and will explore how you can act as an advocate to ensure that your family gets the help and support you need, when you need it.